The NSW Country Eagles have held on 26-17 to beat the Sydney Rays at Simon Poidevin Oval in Goulburn this afternoon. 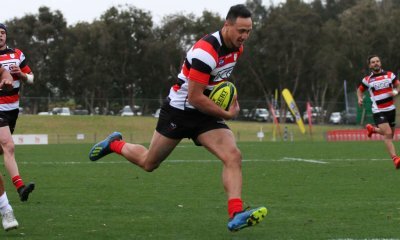 It was a top day out for the locals with some fast running rugby in the warm conditions as the Eagles scored four tries to three in the nine point win. It was all Eagles in the opening stanza as they pinned the Rays down in their own half. It took a neat backline move for the opening points with Alex Gibbon on the end to dive over in the corner for a 5-0 lead after just five minutes. The Rays finally got their hands on the ball and found some good metres through the middle before the ball went wide to winger Latu Latunipulu and he shrugged off a number of tackles before losing his footing. They kept attacking and Irae Simone thought he had hit back for the Rays in the right corner but he was denied by the TMO. But they wouldn’t be denied a second time from the TMO as Josh Fraser was given the nod in the same corner. A brilliant sideline conversion from Rohan Sofoloi gave them a 7-5 lead after 15 minutes. The Eagles almost hit back immediately but winger Henry Cluines-Ross lost the ball in going for the line but followed up by a big scrum they got the ball back and recycled and appeared to have scored through Andrew Kellaway but a forward pass was ruled. The Eagles spent the next portion of the match camped down on the Rays line after another held up call and another held up call. A big scrum shove from the Eagles proved too much for the Rays and Sam Ward controlled the ball at the back and dived over to give the Eagles back the lead. They extended their lead just three minutes with Jake Gordon under the sticks following a Rays turnover. The ball was spread wide and Kyle Godwin found Gordon and he ran untouched to the line and Adams’ second conversion gave them a 12 point lead. Both sides had chances to score before the break but neither could add to the score to leave it at 19-7 at the break. Despite the warm conditions, both sides came out looking to spread the ball wide early in the second half. 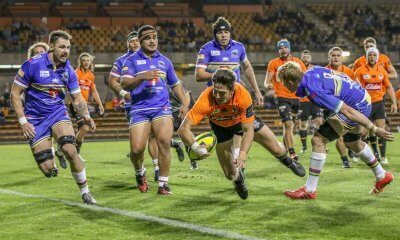 The Eagles had the better field position but some strong Rays defence held them out and against the run of play, Latunipulu scored a well worked try and grounded the ball despite the tackle of Andrew Kellaway in the corner. The comeback seemed short lived, with Eagles centre Alex Newsome finding space and he swerved his way over for the Eagles fourth try of the afternoon. 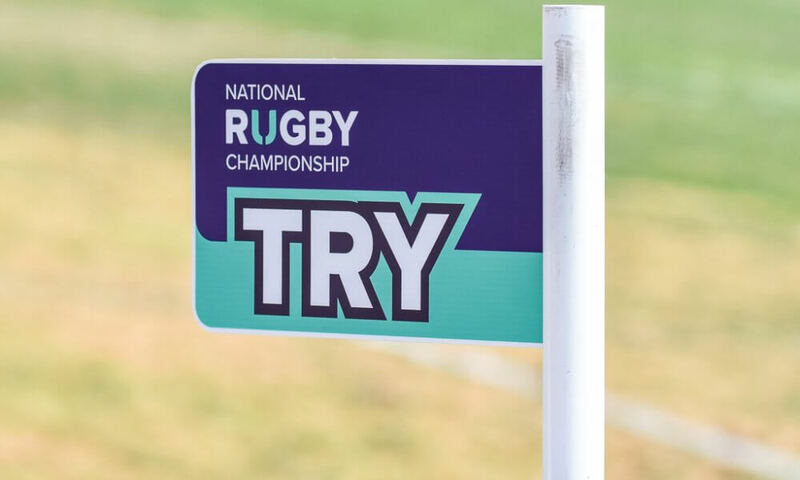 The next try came from the Rays with a brilliant piece of handling from Tom Connor with a Fiji-esque flick through his legs that found Angus Sinclair in the corner to reduce the margin to 9. The Eagles job to defend got a bit harder in the 66th minute when Sam Ward was given a ten minute rest for a hit off the ball with the game getting a bit heated at times. With time running out, the Rays threw everything at the Eagles to bridge the gap with some end-to-end play but they couldn’t get over the line as the Eagles held on for the win.